Standing tall with six entrances is the Alwar fort or Bala Quila. Well connected to the city the fort was built by Nikumb Rajputs in 928 A.D and was captured by Mughals and Jats in the later times. 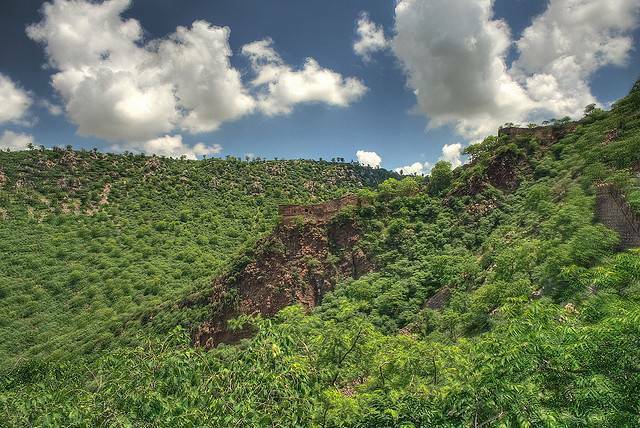 Also known as the Bala Quila which means a Young fort it provides a magnificent view of the Alwar city. The five entrances to the fort are Kishan Pol, Andheri Gate, Laxman Pol, Suraj Pol and Chand Pol.